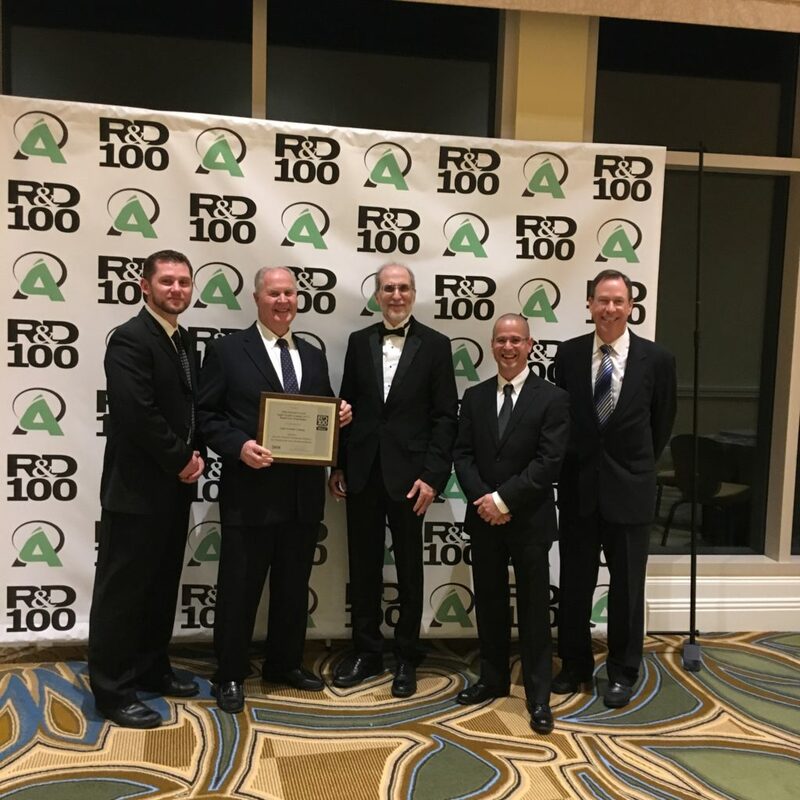 The Ohio Soybean Council (OSC) received two R&D 100 Awards November 16 at the 56th annual R&D 100 Awards in Orlando, Florida, for a soy-based floor coating that was funded with Ohio soybean farmers’ checkoff dollars. The R&D 100 Awards honor the 100 most innovative technologies of the past year. OSC won in cooperation with Light Curable Coatings, Redwood Innovations and Quick Cure Protective Coatings in the Mechanical/Materials category. OSC was also awarded a Special Recognition for Green Technology. These awards are OSC’s ninth and 10th R&D 100 Awards since 2002. OSC has received five R&D 100 Awards in the last five years. The soy-based UV-cured, high-performance, bio-preferred floor coating contains no volatile organic compounds (VOCs). The clean, green soy-acylate-based product delivers exceptionally low cure times and meets or exceeds industry targets for appearance, hardness, adhesion, solvent resistance and application temperature. For more information about Light Curable Coatings, OSC’s role in its development, or licensing, please contact Barry McGraw, OSC’s Director of Product Development & Commercialization, at bmcgraw@soyohio.org or 614-476-3100.